Storage units: You’ll find a wide range of differently sized and shaped storage units when you come to Attic Mini Storage. We even have two locations, meaning we’re able to offer different units to suit different needs. At our original location, we have storage units in 5×10, 10×10, 10×15, 10×20 and sizes. The 10×20 holds most cars and trucks, making us a great option for vehicle storage in Hereford, TX. We also offer 8×20, 8×26, 10×22 and 12×32 units at our second location. 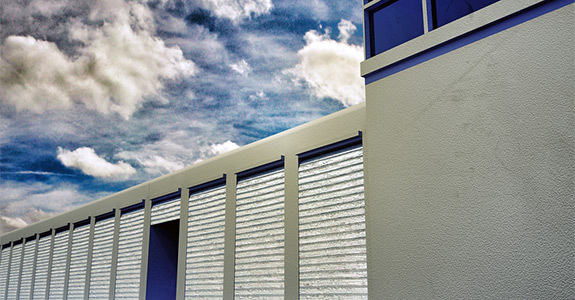 We have outside storage units only, and all units have drive-up access available. Month-to-month lease: Here at Attic Mini Storage in Hereford, TX, we know that life can be unpredictable, and you sometimes won’t know how long you’ll need a storage unit. When you store your belongings with us, you don’t have to worry about being trapped in a long-term lease that you might not even need. Our monthly payment options and month-to-month leases allow you to be flexible with your storage, giving you the peace of mind to pursue whatever you want. Trailer rentals: In addition to car storage in Hereford, TX, we also offer trailer rentals for your convenience. Transferring your possessions can be a hefty job, but our trailer rentals allow you to get it all done quickly, and only have to pay one bill. We also sell heavy duty round disc locks. Safe and secure: When you store your belongings with Attic Mini Storage, you’ll be able to depend on the following no matter what: 24-hour access, a well-lit and fenced-in facility, individual access codes and generally helpful and friendly customer service. For more information about our storage and trailer rental services, give us a call anytime at 806-364-3601.